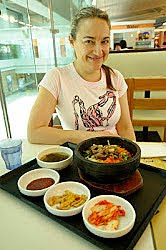 Here follows a blog post about things I have recently stuffed into my face while making the "nom nom" noise. Considering the extensive list of things I don't eat because they make my joints ache it consistently surprises me how many yummy things still have my name on them, so to speak. 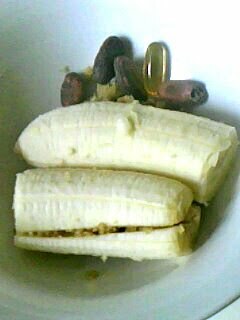 Banana with nut butter inside it, cacao beans, fish oil. Salad. This one has sheepsmilk feta on it. I'm not a complete nazi about avoiding dairy. Feta and blue cheese are a necessity to full enjoyment of life. Later I added some grilled fish to this meal. 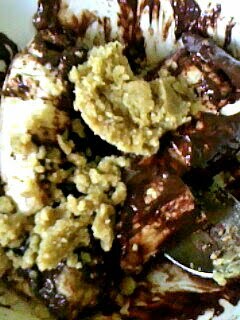 Baked banana with 20g melted chocolate and nut butter. This is a brilliant way to make a little chocolate go a long way. Melt it and stir it into some fruit. The whole thing is about 350 calories which is pretty light for a dessert or treat. Most slices of cake, for example, are at least 500 calories and a restaurant mudcake could be over 1000. It's a scary, scary world out there. 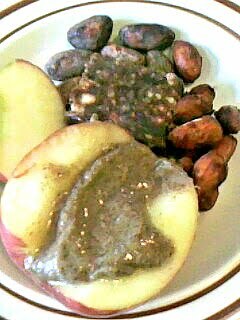 Apple with nut butter. Half a Lara Bar, cacao beans, activated almonds. Er.. 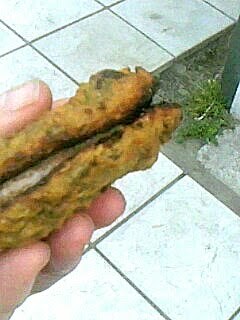 It's actually two kumara and tuna patties sandwiched together with almond butter. A Green Smoothie. 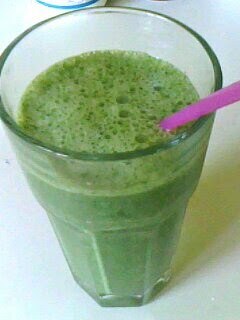 This one has frozen spinach, hemp milk and raw agave syrup and represents this mornings breakfast. 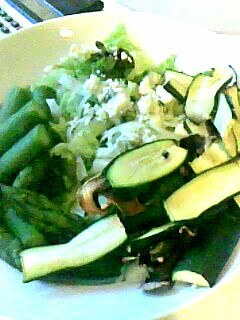 Nommmy nommmy nommmy.... I'm totally trying that baked banana choccy nut butter fiasco! Agave is concentrated fructose, extremely bad for the liver. Check out Gary Taubes info for more info. There's lots of controvery on the net surrounding Agave, it's not the healthy sweetener many vegans and raw foodies tout. Quite the opposite, even worse than sugar. That link explains pretty much everything you need to know about agave syrup.